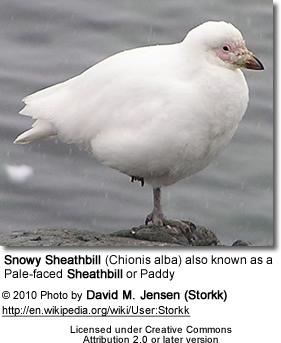 A Snowy Sheathbill is about 15-16 inches long, with a wingspan of 30-31.5 inches. 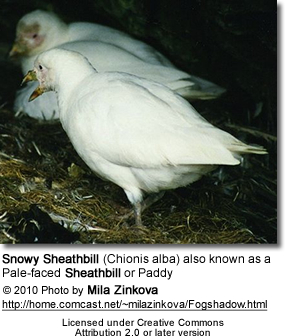 Because Snowy Sheathbills do not have webbed feet, they would have difficulty fishing for food. Instead, they scavenge food on land. 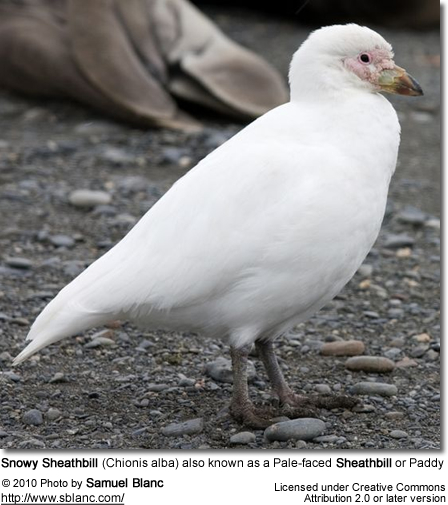 The Snowy Sheathbill is a scavenger that will eat any kind of droppings and steals and chicks and also will take seaweed and carrion as well as young seals. 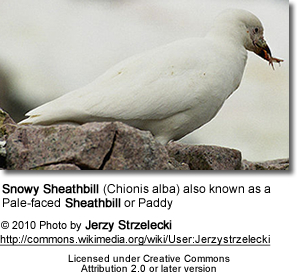 A Snowy Sheathbill has been seen eating a tapeworm that had been living in a Chinstrap Penguin's intestine. 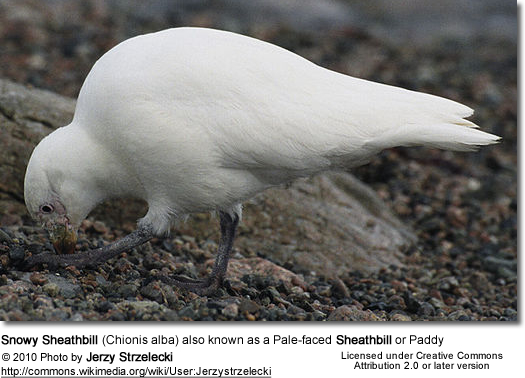 The Encyclopedia of World Wildlife. Parragon Publishing. ISBN 1-40543-679-4.Lynch, Wayne (September 26, 2001). The Scoop on Poop. Fifth House Books. ISBN 1-894004-59-0.